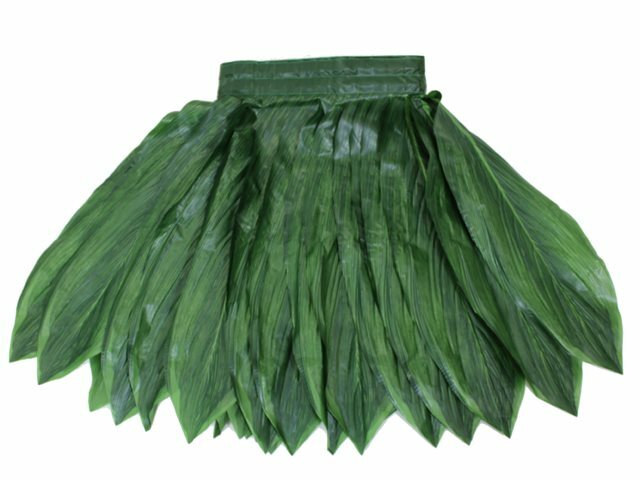 This Ti Leaf Skirt is made of nylon. Our customers have recommended to have velcro strips be applied on the rim of the skirt to fit skinny dancer effectively. This product does not come with velcro strips, but they can be purchased at your local crafts store.